One of the most prominent Express Entry-aligned Provincial Nominee Program streams for immigration to Canada, Ontario’s Human Capital Priorities Stream issued new Notifications of Interest on January 22 to eligible candidates in the federal Express Entry pool. This particular round of invitations conducted by Ontario under the Human Capital Priorites (HCP) Stream is innovative for several reasons. Not only was it the first round of Notifications of Interests (NOIs) for 2018, but this was the first instance where the Government of Ontario provides this level of detail about the NOI invitation round. The province revealed the total number of new NOIs issued, which was 340, as well as the federal Express Entry ranking scores of candidates selected. In the January 22 invitation round, candidates with Comprehensive Ranking System (CRS) scores in the range of 440 to 446 were issued a NOI. Another important detail released by the province was the date of Express Entry profiles submitted. During this round, only candidates with profiles submitted between January 1, 2018 and January 19, 2018 were issued NOIs from Ontario. The HCP stream is a major component of the OINP, one of Canada’s popular PNPs. Successful applicants to the HCP stream are awarded 600 additional CRS points and, as a result an Invitation to Apply (ITA) for permanent residence at a subsequent draw from the Express Entry pool. 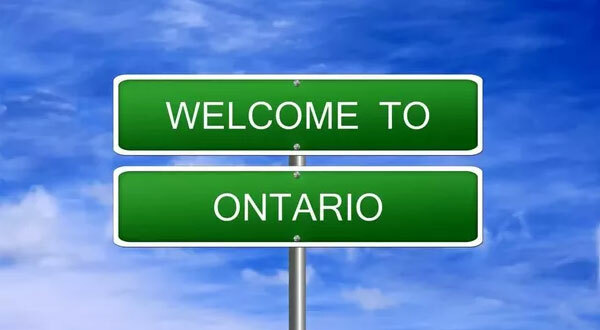 Ontario’s HCP stream functions in a unique way, as the OINP searches the Express Entry pool for eligible candidates who may settle in the province successfully and issues selected candidates a NOI, which serves as an invitation to apply for a provincial nomination certificate through the OINP. News of the HCP stream reopening was provided by immigration authorities in Ontario on Thursday, January 18. Have a profile in the Express Entry pool and score a minimum of 400 points under the CRS. If you missed this opportunity, make sure you catch another in the next few upcoming months. Fill out Free Assessment now and start your process!